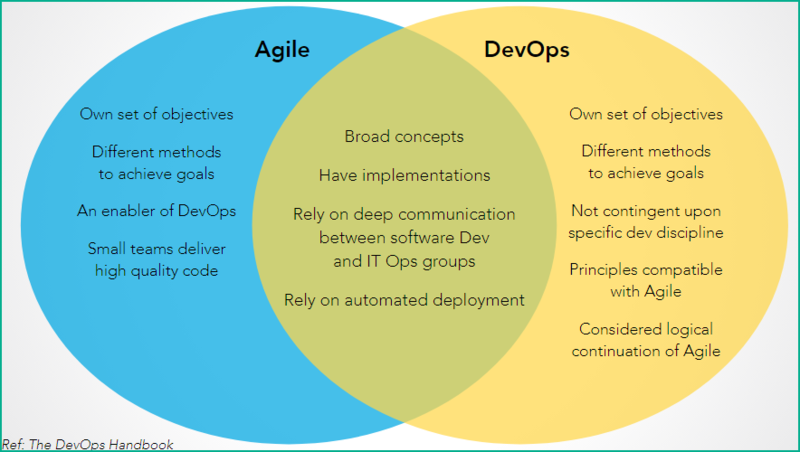 Continuous Integration and Continuous Delivery (CI/CD) relies on the automation of routine work. 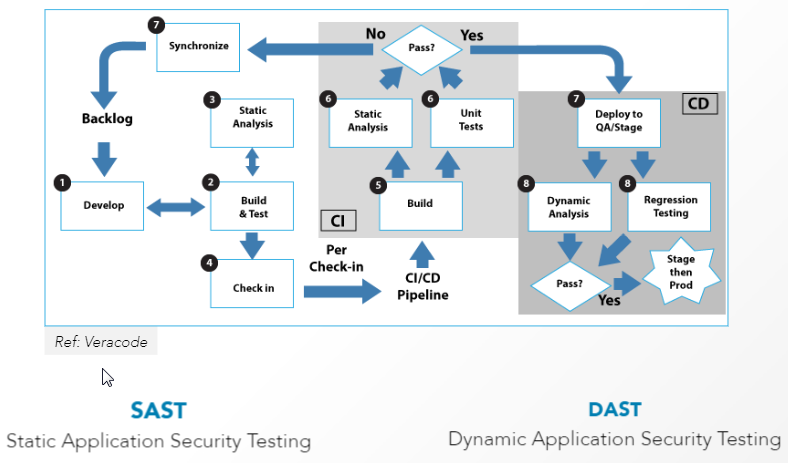 Basic SDLC has not changed . 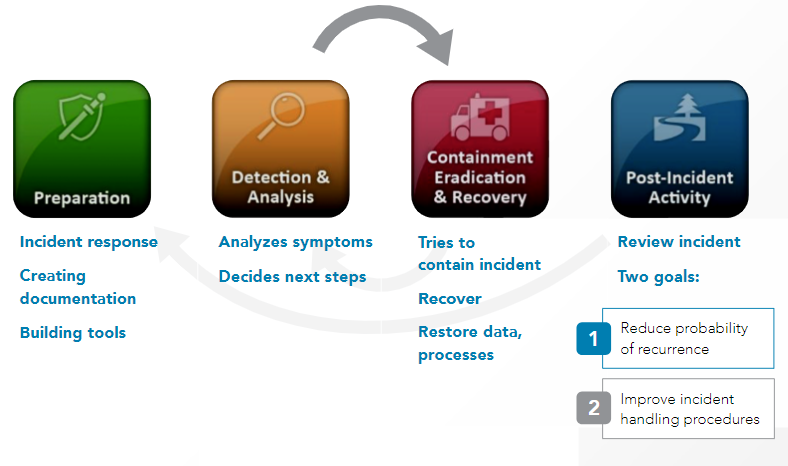 Processes: Significant changes to existing workflows & processes. Team communication, collaboration, reporting, measurements, security, development, operations, end to end, implementing changes, continuous loop. Automate Security in: automated invocation security testing with Comprehensive API. 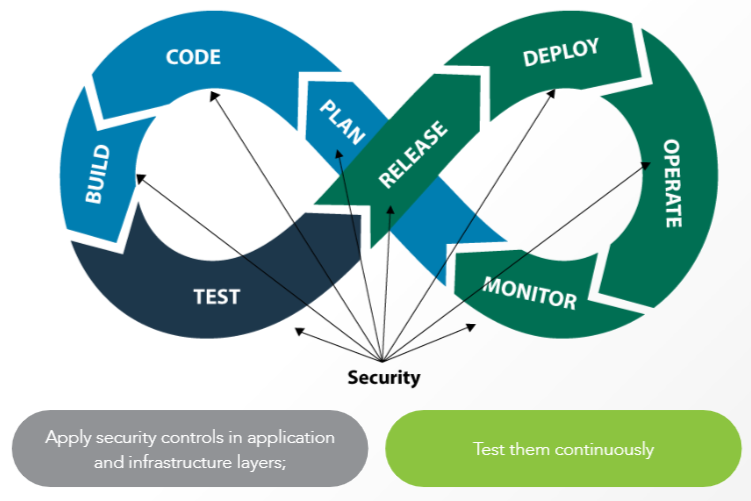 Integrate to Fail Quickly: Integrating security CI/CD pipeline for application security. Test will fail and that is expected. Can the product withhold a simulated attack?